Week #3 is here and I am loving this challenge! I hate to admit this but I usually gain weight in the summer months but this summer is very different because I’m moving more and making vegetables my main ingredient in my meals (including a smoothie for breakfast with spinach). WOW! 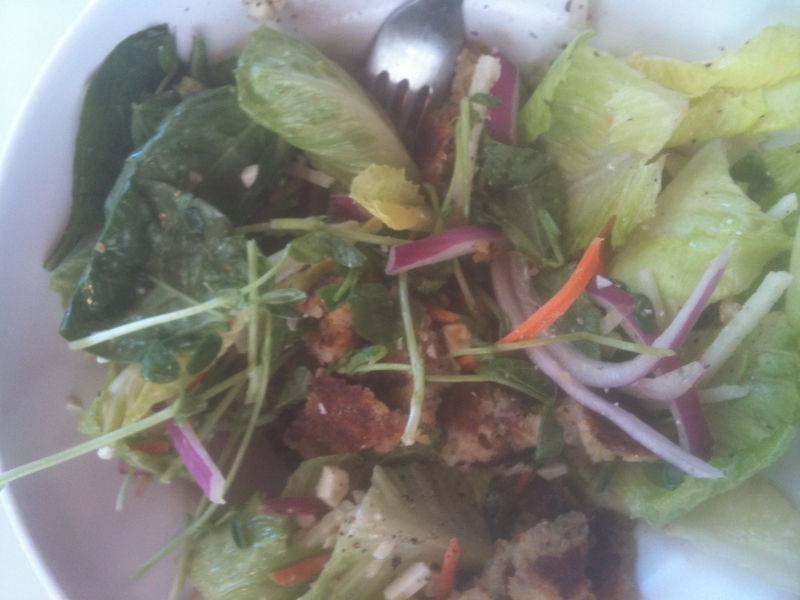 This was my first time eating at the Burger Lounge and it was delicious… I highly recommend if you are ever in San Diego to try this salad or a sandwich. Everything was very fresh and the place was very clean. Thank you Stephanie for the recommendation! This is kind of a staple in our weekly menu’s. 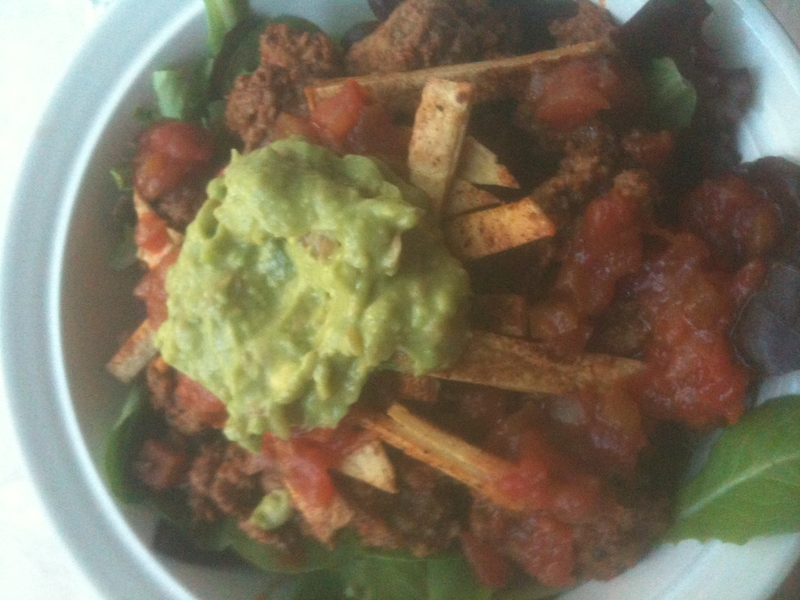 We usually go back and forth between organic beef tacos and organic beef taco salad. 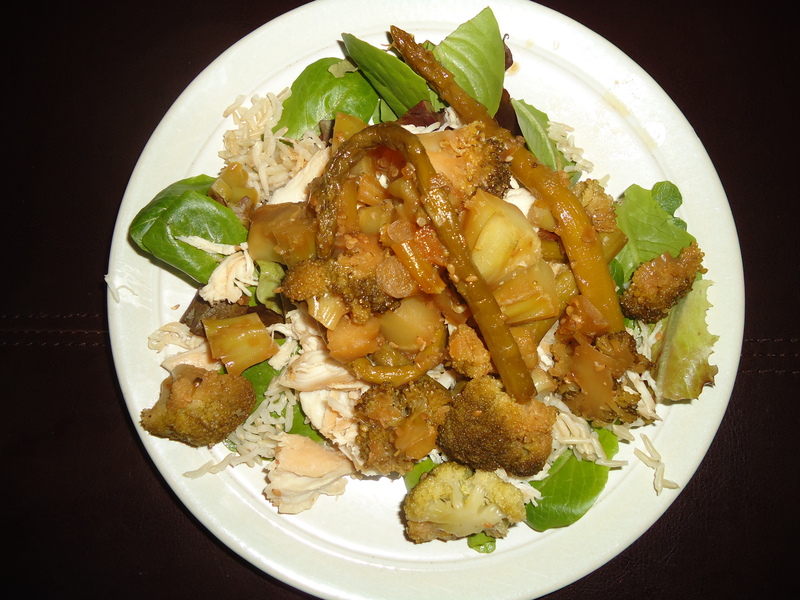 But I like incorporating these recipes into the challenge because it is a part of our life. Probably one of the easiset and I served homemade baked Chips and homemade Guacamole for an appetizer. The ingredients for this salad include – ground beef (cooked with a combo of lime, pepper salsa and taco seasoning), homemade baked tortilla strips, guacamole, black beans, green peppers, tomatoes, and salsa (used as the salad dressing). This recipe was actually given to me by a friend (thanks JD)! I made this for lunch because I had plans for a company dinner in the evening. 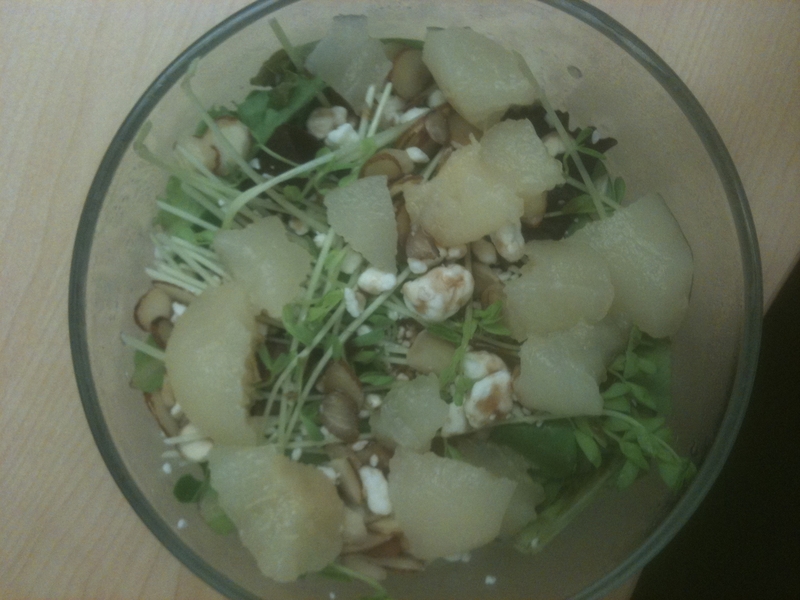 It included mixed greens, pears (I used canned), goat cheese, sliced almonds, pea tendrils, and my favorite fat free balsamic vinaigrette (Trader Joe’s). She actually has a recipe for a homemade dressing (vinegar, olive oil, honey, paprika, salt, and pepper), but I didn’t have enough time to put it together before I left for the day. Either way it was delicious! Marinated the chicken in the crockpot with teryaki sauce, cooked some brown rice in the rice cooker, sauted some vegetables (broccoli and asparagus) with some olive oil and teriyaki sauce in a pan on the stovetop. 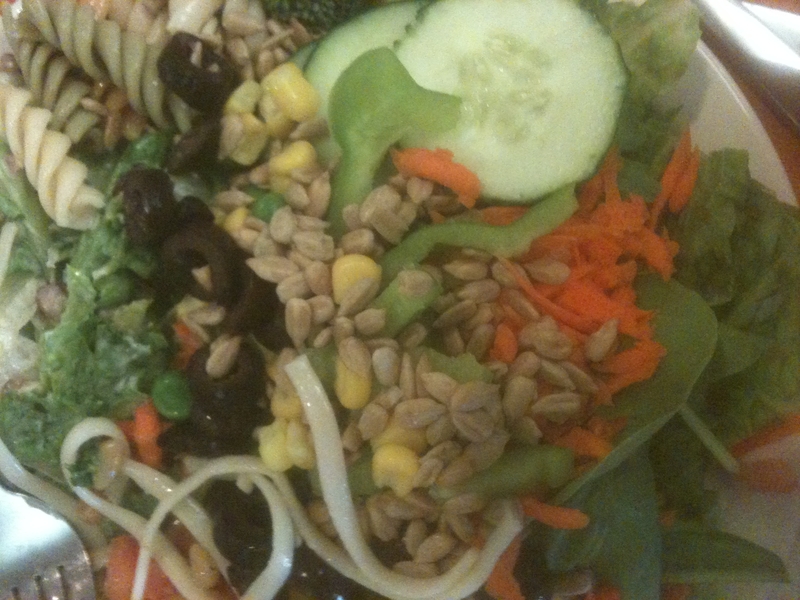 After it was completed I plated it starting at the bottom with lettuce, brown rice, vegetables, and shredded chicken. To be honest, I totally made this recipe up because I was just going to make a chinese chicken salad but I knew my husband would complain there weren’t enough carbohydrates on the plate. Unfortunately, out of this entire month I have only had one miss and that was today. The reason it was a miss was because I sauted the vegetables in teriyaki and they lost their flavor. I would steam the veggies next time and find a yummy teriyaki drizzle to pour over the top for garnish and a little extra flavor. Once again it’s Frid-YAY! 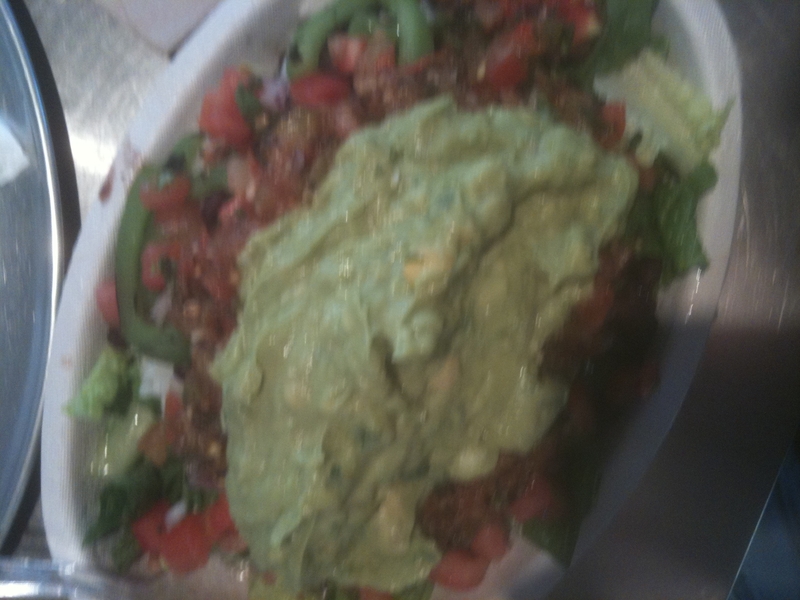 And that means… no cooking 🙂 Therefore we decided to have Chipotle. I love the philosophy around this restaurant because they offer fresh, whole ingredients, with no secrets because everything is right in front of you as they prepare your plate. I’m glad you liked the pear and goat cheese salad; it’s definitely one of our favorites! 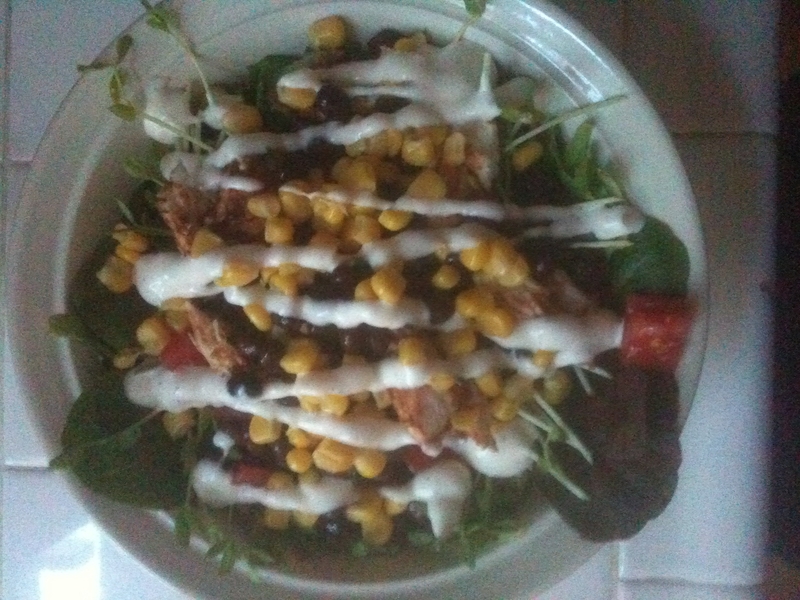 I have to try that BBQ chicken salad; it looks amazing.